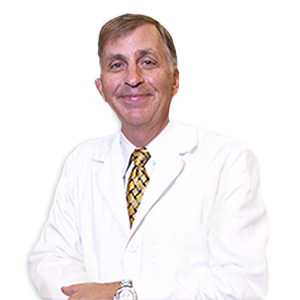 Dr. John Cancelliere focuses on the latest technology and methods of dental implants Naples FL. Dental implants Naples FL have long been Dr. John Cancelliere’s specialty and focuse. He has been performing dental implant surgery for over 30 years, and has been educated through the prestigious Misch International Implant Institute. While initially it seems less expensive to get a traditional denture, implant supported bridges pay off tremendously in the long run. The dental implants provide anchored chewing support, and prevent bone and gum loss, which results in a longer lasting smile, preserved oral health, and less long-term payments for replacement and restoration procedures. Implant supported dental bridges preserve your bones and gums so that you can continue smiling and chewing for years to come. Alternatively, dental bridges provide a longer-term and healthier solution for tooth replacement. Instead of having to reshape the adjacent healthy teeth, one or more dental implants are positioned into the gums to function like tooth roots. At The Dentistry in Naples, we remain on the forefront of the most current techniques and technology available through our dedication to continuing our education, and ongoing investment in the leading-edge technology available to the dental profession. Replicating the natural function and appearance of your lost teeth was, in the past, difficult to accomplish. Historically, dentures or bridge restorations would be used as replacements, but with limited results. Dental implants, however, are natural-looking replacements for missing teeth that also provide the same function as your natural tooth root. Dental implants have also been used to anchor dentures for greater success and patient satisfaction. After incredible advances in dentistry in the past decade, dental implants have become the treatment of choice for people missing one, or several teeth, and for those with failing teeth, or severe periodontal disease. Dental implants now look and perform more like natural teeth. What, Exactly, is a Dental Implant? Dental implants are long-lasting tooth root replacements that are placed into the jawbone to simulate the root of a pre-existing tooth. For qualified patients, replacement teeth then can be restored the same day, returning a spectacular smile quickly. Unlike dentures or bridges, dental implants don’t move or shift, and they can last a lifetime. They are secured in the bone: there is no artificial plastic on the roof of the mouth, and the need for adhesives and denture creams is eliminated. More importantly, the use of dental implants does not impact healthy, adjacent teeth, as bridges do. To qualify for dental implant surgery, you’ll need to have healthy oral tissues and jawbone ridges that are in good shape. When the implant device is inserted into the jaw, a chemical and mechanical bond is formed, and the jawbone actually grows into the implant, providing an incredibly secure foundation. A certain degree of jawbone density is required to successfully receive a dental implant. However, men and women of all ages have benefited from dental implants, and age is not a determining factor. A consultation with Dr. John Cancelliere will include an examination of your jaw and gums to determine if dental implants are the best form of tooth replacement for your individual circumstances. If you are interested in scheduling a consultation, please contact our office today. With the addition of our new Orthopos CT Scanner machine, we are able to determine if you are a candidate for dental implants by measuring the quality of bone, as well as precisely plan (down to tenths of a millimeter!) where your implant will go. The integration of using a CT scan with your implant planning/placement has proven again and again to increase success and safety. Change your smile in one day with the Prettau® Implant Bridge! The dental industry has witnessed one of the most dramatic material changes in recent history in the change from predominately metal-based prosthetics to zirconia. Implant restorations have followed the same transformation. The Prettau Implant Bridge is a major step forward in restorative dentistry. These dental bridges are supported by dental implants, which are artificial tooth roots that are surgically placed into the jawbone and gum tissue, allowing for incredibly secure hold. The artificial teeth are made from zirconia, which is an incredibly sturdy and natural-looking material. Many of our patients come to see us after pouring time, money, and energy into treatments with questionable long term prognosis. If you suffer from broken crowns, defective bridges, failing root canals, questionable periodontal health, loose or ill fitting dentures, the Prettau Implant Bridge may be ideal for you. Those who have had success with this treatment have gone from hiding toothless smiles, struggling through painful meals, and avoiding conversations to feeling whole again, regaining confidence in their appearance and their expressions. The Prettau bridge is the longest lasting, most effective way to replace your missing teeth, bar none, and we are proud to offer it to our patients. You can learn more about this remarkable technology here. At The Dentistry in Naples, Dr. John Cancelliere and Dr. Sam Cancelliere will check you regularly – your dental health is our priority. If you are a candidate for dental implants Naples Fl, remember, we’re your NO FEAR, NO PAIN dentists, and we are a family practice that looks out for our patients as if they were our own family. Give Dr. John Cancelliere and Dr. Sam Cancelliere a call today at The Dentistry in Naples at 239-566-2422!